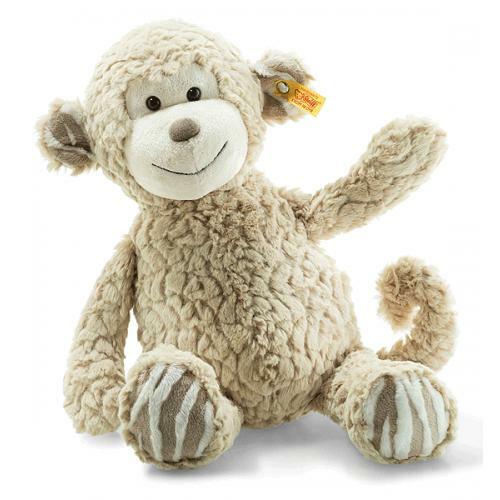 Bingo Monkey is hand made in the finest beige cuddly soft plush. 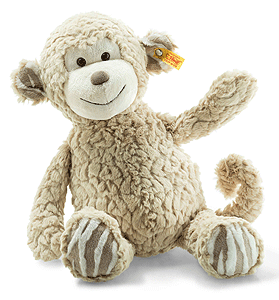 Soft Cuddly Friends Bingo monkey: Your child won't be able to say no to this sweet chap with a cute grin and curly tail. The soft and cuddly monkey has a height of 39 cm and loves to swing. The bean bags at his rear, feet and soles give him the necessary support and will make you want to grab and feel him. His stripped feet and ears are real eye-catchers.